Kids smartwatch maker Omate has teamed up with Japanese toy manufacturer Diablock in order to provide a fresh look on its safety wearables. The Omate x Nanoblock, which will be unveiled at MWC 2018, offers security features such as SOS alerts, two-way voice and video chatting and location tracking, as well as a three-day battery life, an alarm, pedometer, stopwatch and front-facing camera. Crucially, its location tracking comes through 3G connectivity, provided through Tata Communications' built-in SIM card. This helps detect a wearer's location, which is triangulated through the GPS, Wi-Fi hotspots and cellular networks. And none of this data can be compromised, Omate and Tata say, thanks to partnerships with networks around the globe. 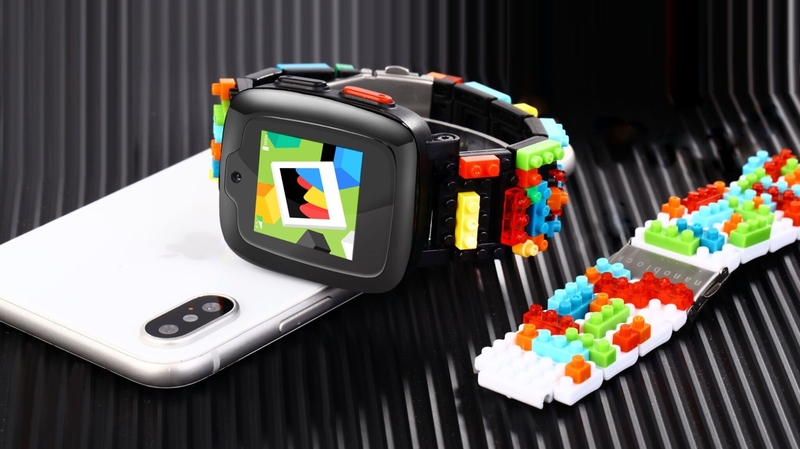 Naturally, like with many other connected kids smartwatches, the device will require a subscription fee in order to stay in touch on the go. But thankfully, Omate indicates that the a one-year data plan will come with the watch, which itself will cost $179 (translating to roughly £129). The Omate x Nanoblock will be available to pre-order in April ahead of shipment in June, though it will only be available in the US and Europe. We'll be checking out the kids smartwatch at the end of the month at MWC, so stay tuned for our hands on look.